Below market transactions don’t happen by chance. Tenants aren’t given large quantities of free rent, tenant improvements and/or rental rate reductions because they paid their rent on time or ask nicely. There is a defined process to establish leverage with relocation options, collect information to gain leverage and close a deal that surprises even the best negotiators. Should I renew my lease or relocate? This choice must be made about every five years by tenants. The line of thinking is often difficult since it will have a material effect on the company’s profitability. Consideration must be given to effective rent, capital expenses, space efficiency, environment, employee workplace satisfaction, future head count, hassle factor and time available to commit to a renewal and relocation especially. 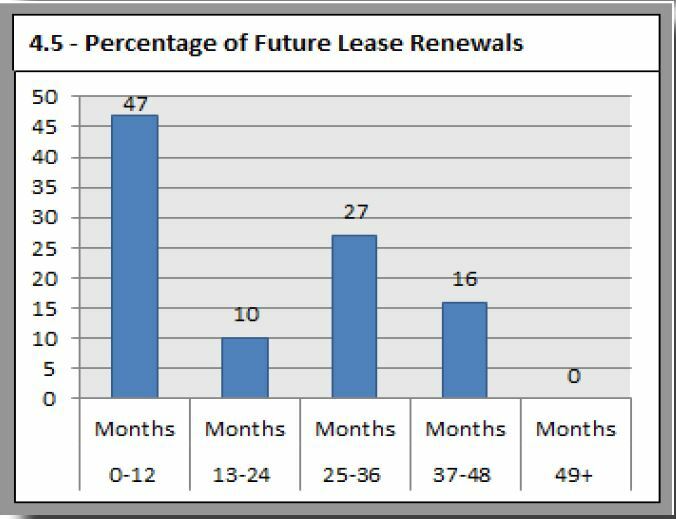 Many tenants make the default decision to renew their lease and stay in their existing space. In today’s economy we see an ever increasing percentage of renewals. I understand and agree with this objective 80% of the time. Looking at this fact from the new landlord’s perspective, holding vacant space, we know they must somehow motivate a prospective tenant to move out of a comfortable existing building and to relocate into their building instead. With this understanding, landlords will offer generous concessions and aggressive rental structures. Sensible tenants keep an open mind to relocation and take advantage of every opportunity. The following pages contain many of the major items and strategies employed by companies when making a decision on which location best meets their financial and physical needs. How can a tenant begin negotiations with minimal or no leverage? To get the best deal, the tenant must have multiple, credible options in the marketplace and suggest a real threat of moving. This step typically occurs after hiring a Qualified Tenant Broker, preferably with a first name of Forrest and a last name of Blake. It becomes evident to the landlord once the tenant has representation, that the tenant seeks to achieve the best deal the market has to offer. In the landlord’s mind hopes of high rents and low concessions start to fade away. With the threat of a move the landlord is forced to compete to retain the tenant. According to my proven strategy in this situation, I negotiate with not only viable, but also slightly inferior, buildings. I use these less expensive alternate locations to obtain a lower rate on the tenant’s renewal or first-choice opportunity in the market place. It surprises my clients how much better a deal can be with their third or fourth building choice. Sometimes a building may move to first position based on pure economics. For example, if a landlord cuts the rent by 30% over a 5-year basis, could you live with parking that is not covered? If the location is 15 minutes off the freeway, would it be worth saving $3 million on a $10 million dollar lease? These are choices that need to be analyzed to identify at what point the new deal outweighs the expected limitations. Then, we submit aggressive offers and negotiate based on the tenant’s threshold of acceptability. Ultimately, using the best economics the market has to offer to leverage our renewal negotiations. 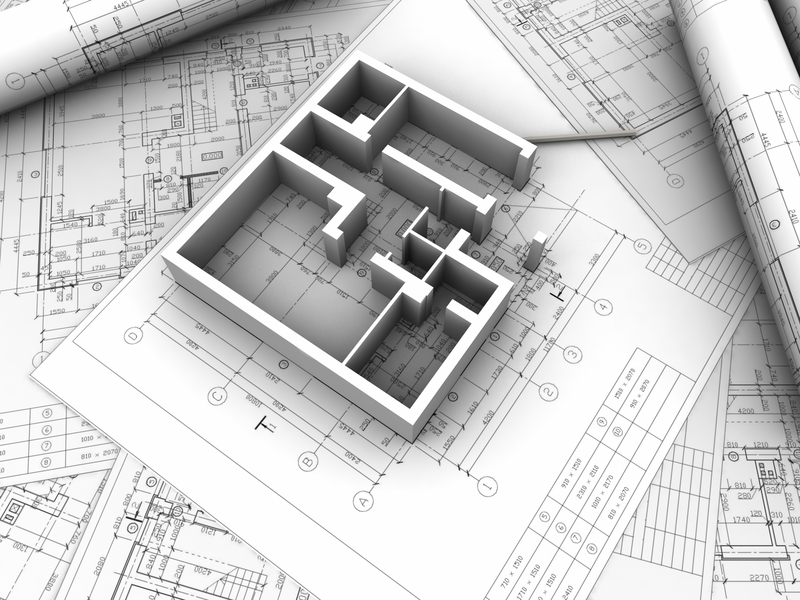 Market data such as rates-per-square-foot and building availability is only a tool. How I use and analyze this data reveals its real value. I apply cognitive thinking around how the tenant’s needs conform to the market opportunities. This involves looking at many factors both common and discovered through hard research. The power of this information drives successful real estate transactions unparalleled in the marketplace or below market deals. In any negotiations the party most prepared with quality information typically will prevail in any transaction. 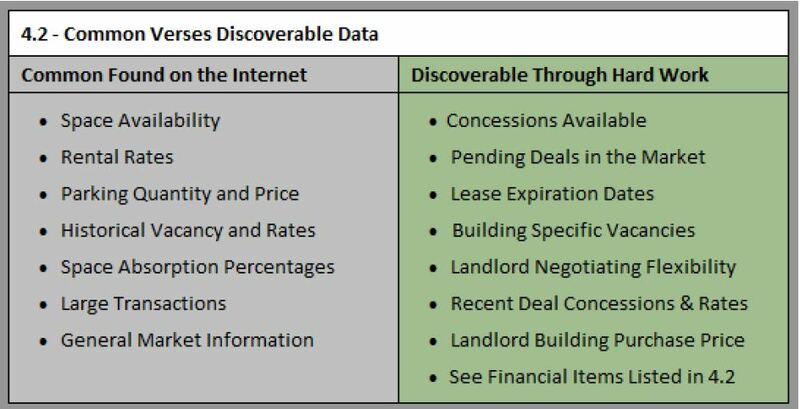 Discoverable information not easily found in the market can be a game changer. Access to this data comes with market experience, research and hard work. Simple information can yield great leverage. By finding out the sale price of a building and looking at a then-current reasonable return on investment, the broker can reverse engineer a deal from the landlord’s perspective. The result of this analysis will establish a rental rate and concession range which corresponds with a landlords expected return on their investment. If the new landlord made a great deal purchasing the building, then the tenant may be able to demand an equally great deal on concessions and effective rent. Many tenants and their brokers don’t either have the time or the ability to find this very valuable information. I hope by reviewing the following illustrations you can see the value of good information. In lease negotiations either to renew or move into a new building, having the average rental rate for the building is invaluable. 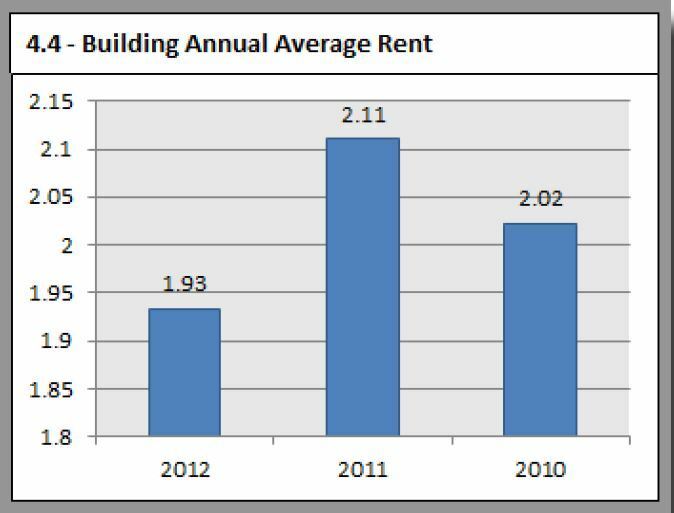 In illustration 4.4 you can see rental rates are going down. This shows the landlords is willing to deal to obtain a new tenant. How powerful is having the knowledge of the what percentage of tenants that will be negotiating renewals in the near future? 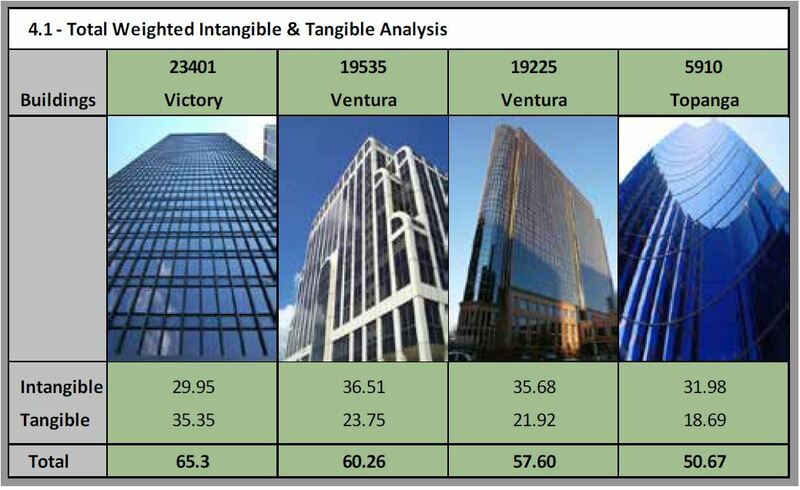 In this example, a building in Woodland Hills, over 57% of the building will be renewing or relocating in the next 24 months. Tenants may be able to create leverage. There are many other data points that can be considered during a renewal negotiations. Please reach out to Forrest Blake if you would like to review or discuss your situation or opportunity.